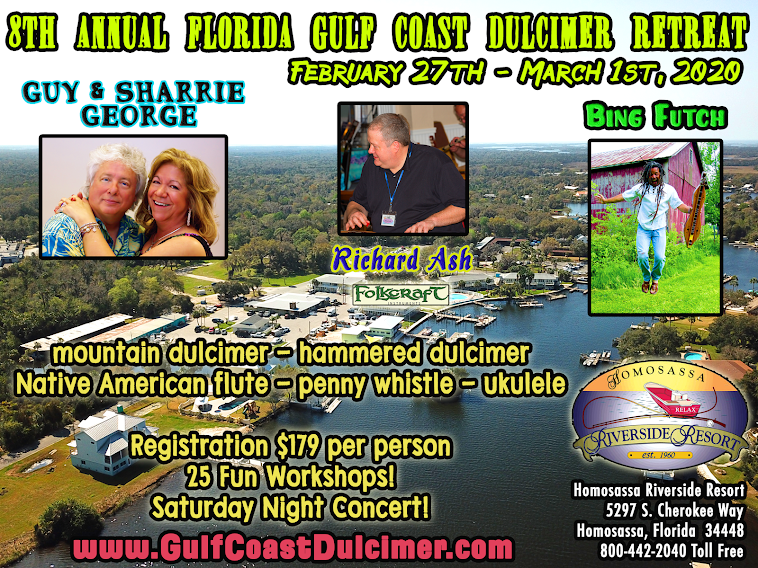 Florida Gulf Coast Dulcimer Retreat with Bing Futch, Guy & Sharrie George and Richard Ash: 2015 Workshop Schedule! All workshops will be in the Manatee Ballroom except where indicated. 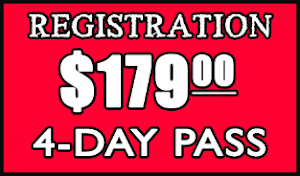 12:30 pm - 1:30 pm - (Richard) Don't Take This Class, It Will Make You Vomit (a.k.a. "Performance Techniques"
9:45 am - 10:45 am - (Bing) How To Play "Juke Joint Hen"
4:15 pm - 5:15 pm - (Bing, Guy, Sharrie) Manatee Orchestra REHEARSAL - All Instruments! 8:30 am - 9:30 am - (Bing) Introduction To Chromatic Mountain Dulcimer!